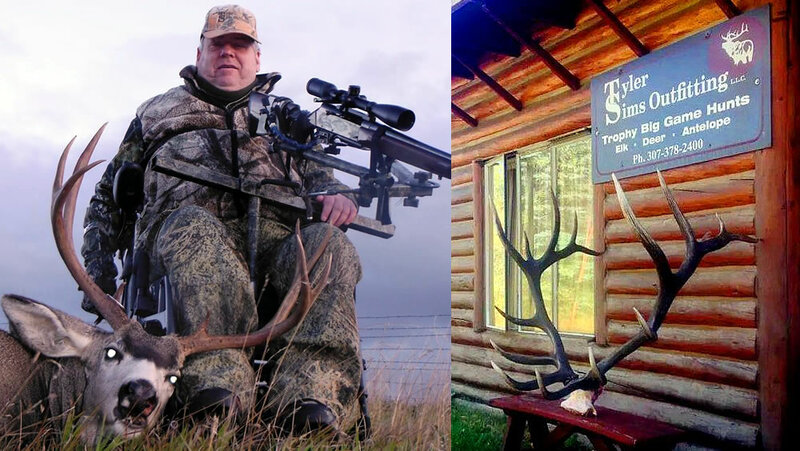 October 6-10 for one MULE DEER hunt 1 on 1 hunt. This year will be one of a kind year with the great moisture and easy winter we have had unlike Western Wyoming. Over the past few months you have read about the high snow pack and the brutal winter that has devastated deer and antelope herds across Wyoming. Many fail to realize that this was ONLY IN WESTERN WYOMING. Here in Southeast Wyoming, we are sitting on a great snowpack but we did not see the devastating storms that nailed the Western States and Western Wyoming. We are lucky to live in the part of Wyoming where the wind blows all winter long. The wind moves the snow off of the feed that wildlife need during those long winter months. My friend Tyler Sims, of Tyler Sims Outfitting, guides for prairie dogs, varmints and big game out of his lodge headquartered in McFadden, Wyoming. From the air, and off Interstate 80, the topography around McFadden, Wyoming looks as flat as the proverbial “table top”. 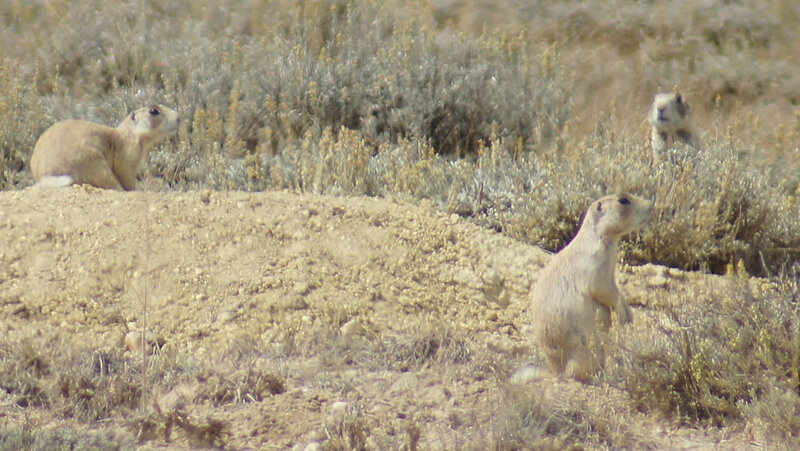 In reality it is cut through and through with numerous cuts, draws, ridges and small hills – perfect terrain for a rimfire hunter to prowl and take close shots at the many prairie dogs that live in this terrain! With a strong snowpack and wet summer, 2014 has been one of the best years for wildlife in southeastern wyoming. 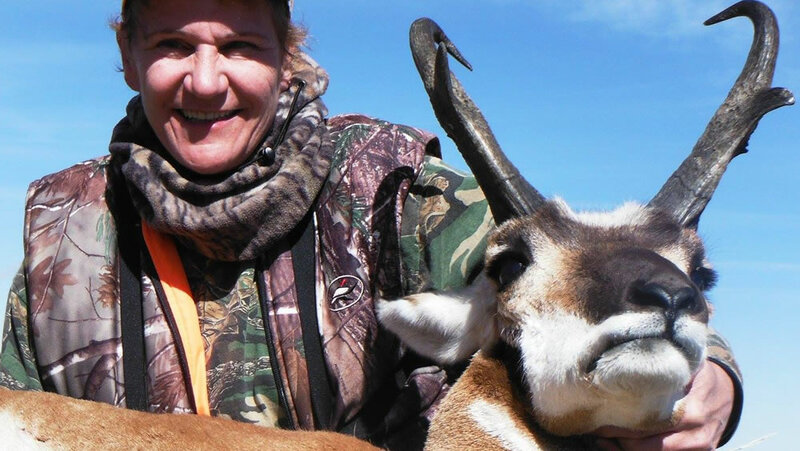 In most our hunt areas antelope fawn ratios were in record breaking highs due to favorable weather conditions and aggressive predator management from ranchers, state agencies and TSO. 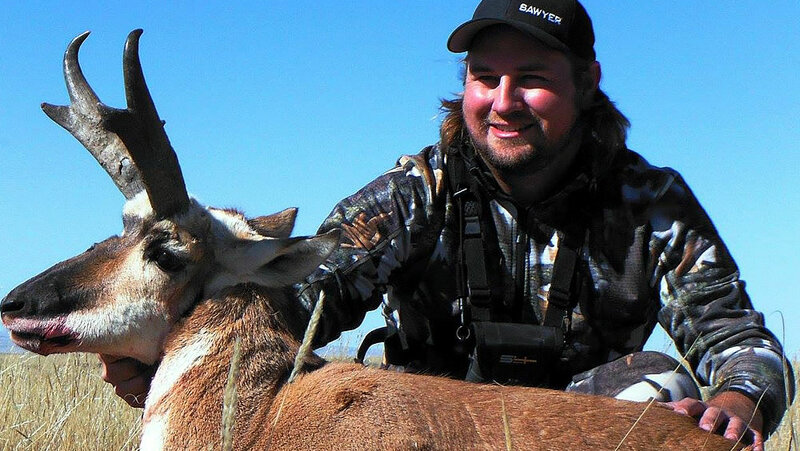 The antelope hunting this fall was unbelievable! All the moisture during the summer allowed for awesome horn growth. The archery season was a little colder and wetter than we like to see but we pulled through with great success.